Regular servicing is the key to the long-term efficiency for your vehicle. We want your service experience to be as easy and convenient as possible. We make selling your car easy. Simply send us the details of your vehicle and let our team take care of the rest. Don't delay, Contact Us Now - It's obligation free. 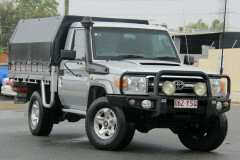 Looking for a car dealer in Ipswich? New or used, passenger or commercial, The Boettcher Motor Group won't be beaten on price or advice in Ipswich or anywhere in Queensland. Exciting new models are always arriving on our showroom floor, and we often need to shift near-new stock to make room. You never know, you could be in the right place at the right time when you visit Boettcher Motors' car dealerships in Queensland. Where else would you buy a car in Ipswich? A local institution, Boettcher Motors is synonymous with superior service and value for money. In an industry that ebbs and flows with the economic climate, we're proud, experienced professionals, and we're here to stay. Boettcher Motors has been selling cars in Ipswich for over 45 years. As locals, we've been involved in the Ipswich community, selling cars to first-time owners, to parents, to families, and more. Since 1969, customers have relied on Boettcher Motors for expert motoring advice and the best driveaway deals for car sales in Queensland. We offer the following Brands: Mazda, Nissan, Volkswagen and Kia. As the go-to car dealer in Ipswich, clients know they can rely on us for continuity of service, range and value, which is why our customers return again and again. Boettcher Motors' Ipswich car dealers are proud to operate as part of the largest network of car dealerships in Queensland – the A.P. Eagers Group. Being part of this extensive network allows us to offer first-class warranties and range of vehicles. Our Ipswich car dealerships showcase Queensland's best range of new and used passenger and commercial vehicles from : Mazda, Nissan, Volkswagen and Kia. 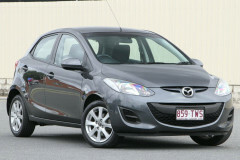 Forget driving from suburb to suburb trying to find a good deal on a car. It's all here. People come from all over the south-east to see us in Ipswich. When you're looking for a car dealer in Queensland, it's always worth a trip to Boettcher Motors. When you're looking for a car dealer in Queensland, it's always worth a trip to Boettcher Motors. 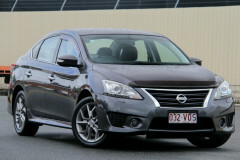 Range - Queensland's best selection of new and used vehicles from Nissan, Volkswagen, Mazda and Kia. 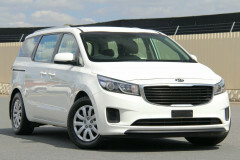 Price - Our car dealers in Ipswich go all out to give you the best drive-away deals in the state. Service - Our service is why we've been here since the 1960s, with expert staff that look after you from first look to final sale. Warranty - We offer a 12-month or 175,000 km warranty on our huge range of used cars in Ipswich. Leading the way in Ipswich car sales is not all we do. Our service continues beyond the moment you drive away, keys in hand. Our factory-trained experts are on hand to offer top quality servicing, so you can rest assured that your car will be diligently cared for during your service. With an extensive range of tyres, part and accessories, we can assist you with all aspects of your vehicle. Contact us today for a car, servicing, or parts enquiry.